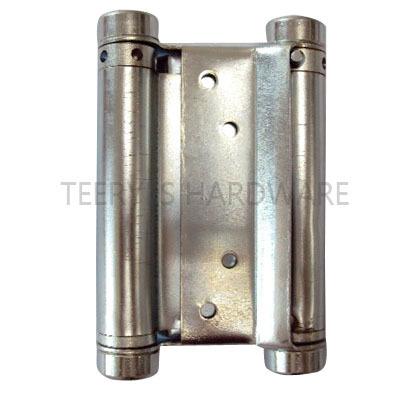 Spring hinges are used on doors to act as an automatic closer for the doorway. 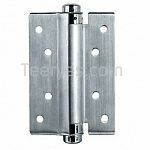 Depending on the type and size of the door, there may be more than one spring hinge installed. 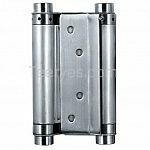 A spring hinge set too loose will not close the door completely. 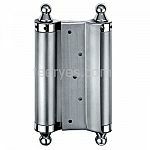 If set too tightly, it will overstress the spring mechanism and shorten the life of the hinge. 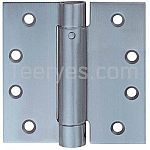 Hinges are not intended to be painted and don't look as sharp and clean as they should when they are layered with paint. 4, Range of application: Wooden Door, Metal Door, Swing Door, Passing Door.